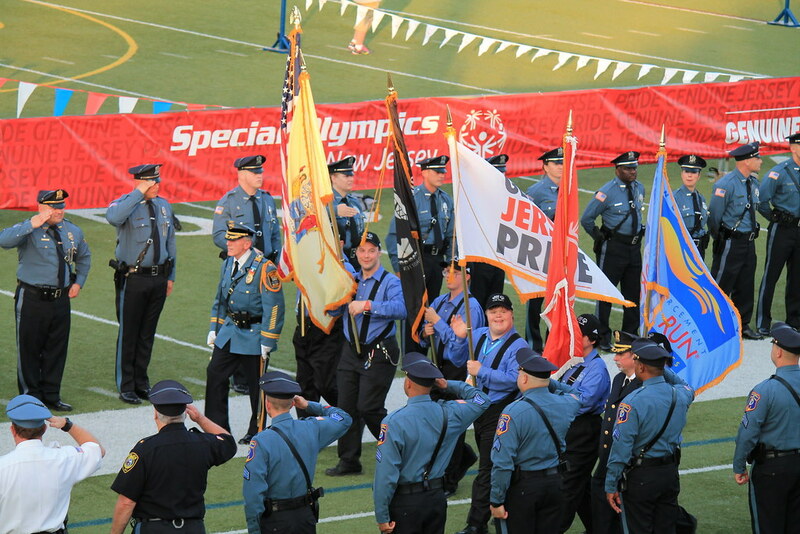 Last weekend (June 12-14) was the Special Olympics New Jersey (SONJ) Summer Games. 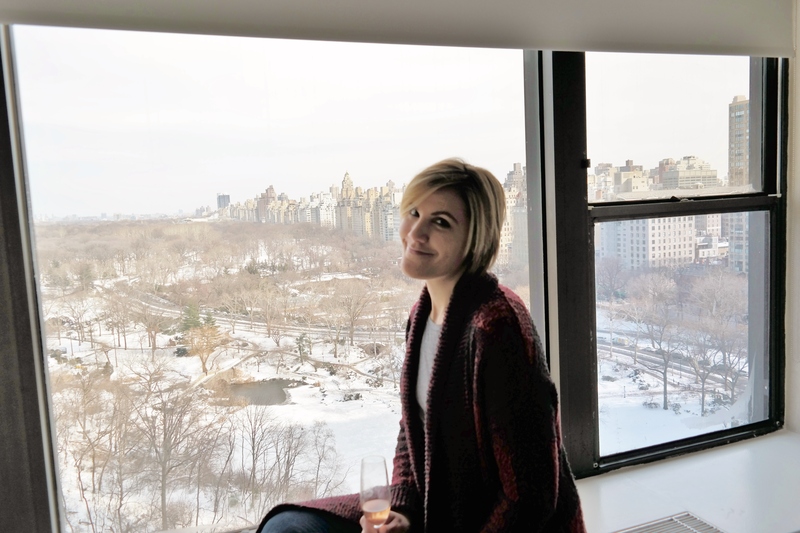 Could there possibly be a more fitting first post for this fresh, brand spankin’ new blog? I don’t think so. 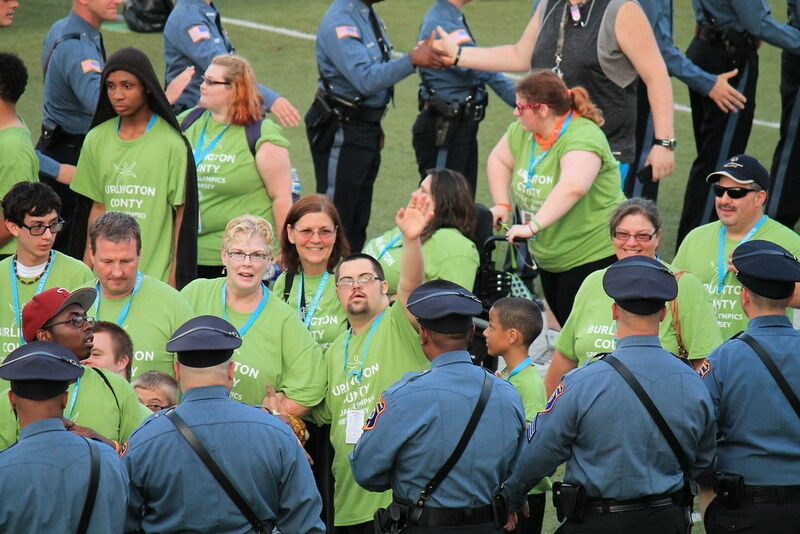 I’ve written about SONJ a few times in the past but this time I hope to give you an even greater sensation of what it is like as a spectator, starting with opening ceremonies. 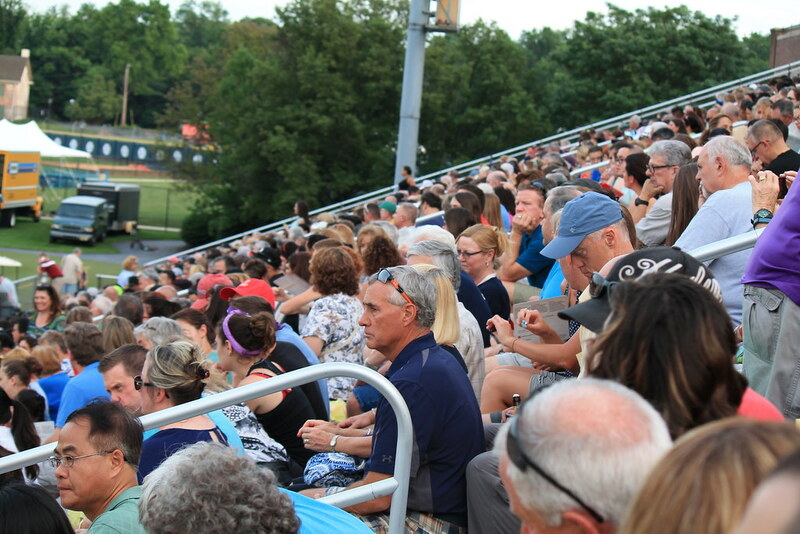 There is a completely different mentality and mood in the air at SONJ events compared to other sporting events. Everyone is pumped. Not in a “We will rock you” sort of way, but in a “We’re all in this together” way. Strangers eagerly strike up conversations, pride for their athlete resonating in each word spoken. I couldn’t help but snap about a dozen pictures of this couple as they cheered for their athlete. 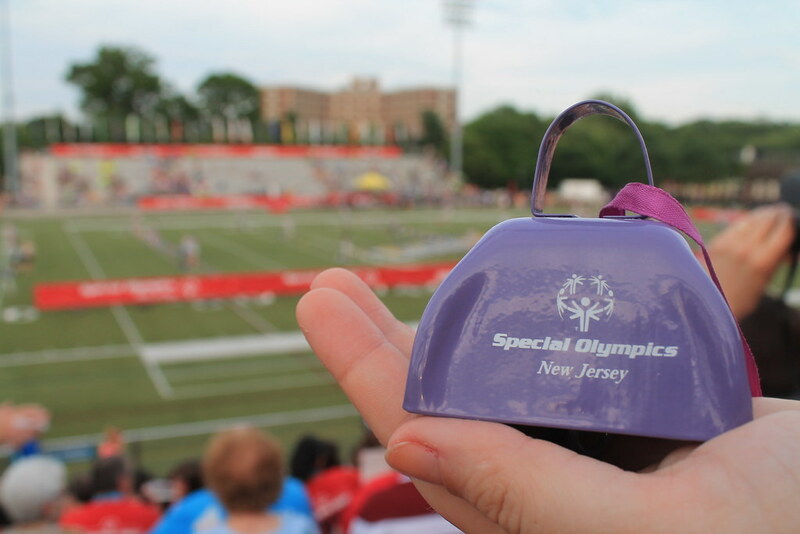 For as long as I have been going to SONJ Summer Games (over ten years! 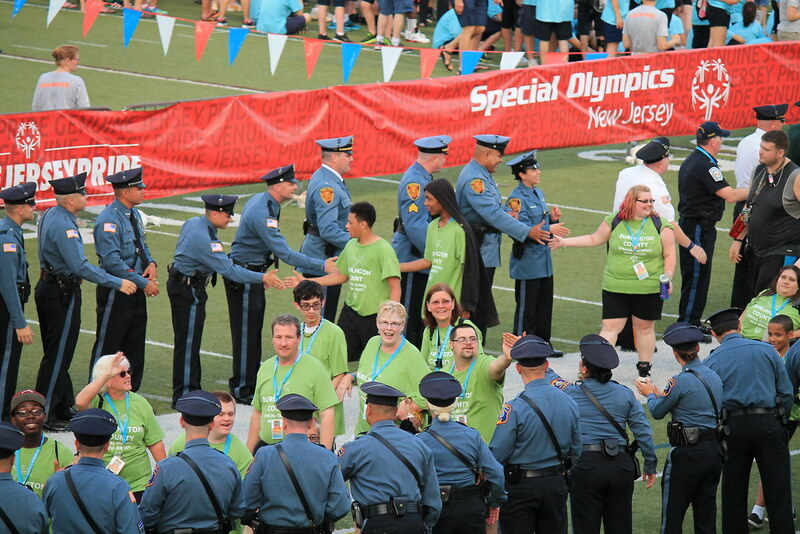 ), they have been held on the The College of New Jersey’s beautiful campus in Ewing, NJ. 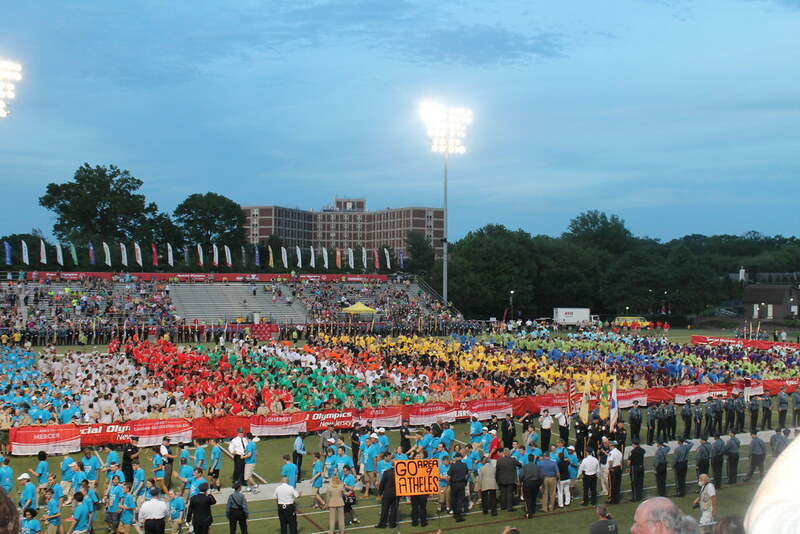 Opening ceremonies always begin on Friday night and it is more than any ordinary sight to see. 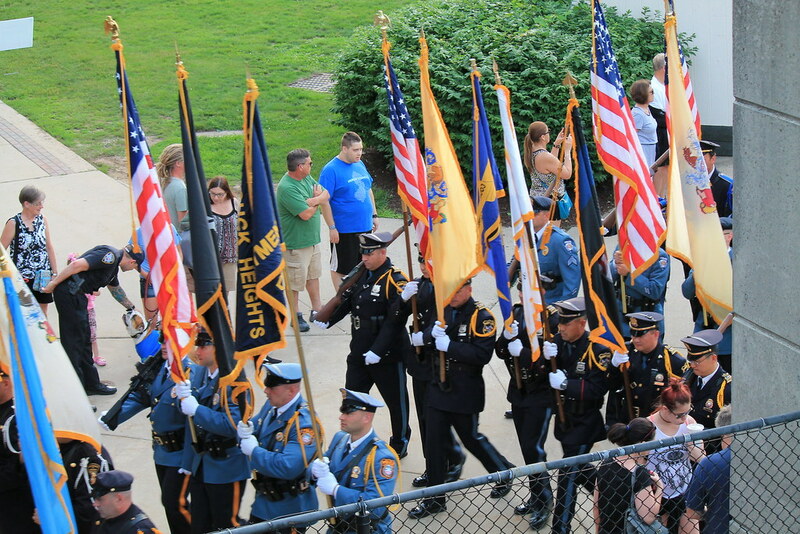 As the athletes are led onto the field by rows of law enforcement we (the sweating fans in the bleachers) are all suddenly reminded why we came. The glow of joy in their faces. The hands waving wildly towards the stands. The jump in the air releasing the build up of excitement for this moment. A moment where it is their time to shine. A moment where for once it is all about them. A moment where they are celebrated. Here comes my little guy. He’d be the one waving cooly towards the camera. 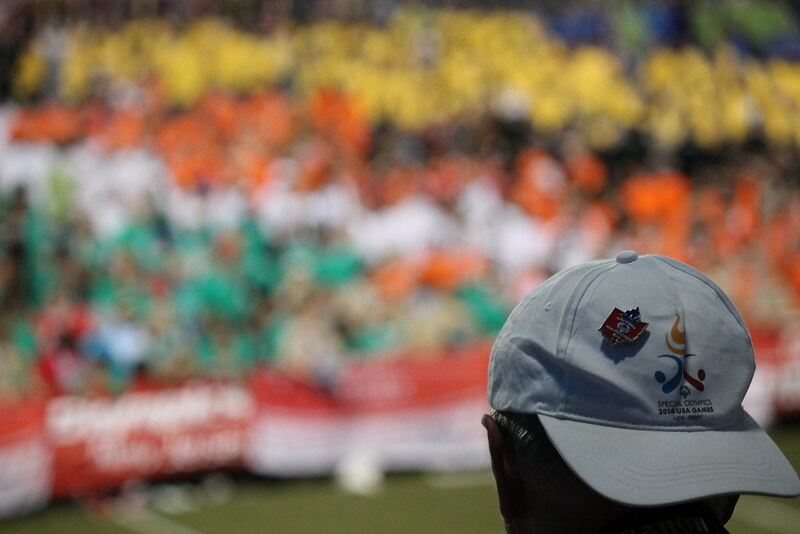 It is awe-inspiring to watch as the athletes stream onto the fields, their different colored t-shirts representing their prospective counties. Each athlete enters with a different story, a different life challenge they have overcome. 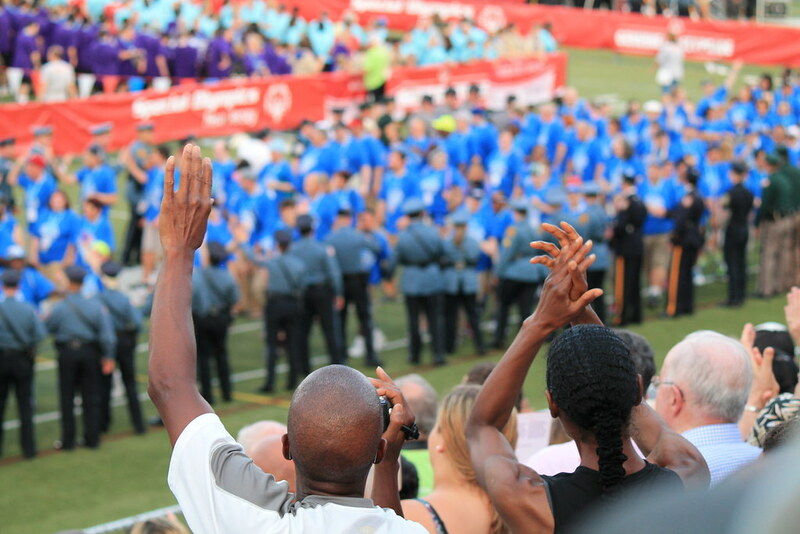 They enter the field prepared for their sport, they enter ready to do the best they possible can, and to uphold the Special Olympics motto: Let me win. But if I cannot win, let me be brave in the attempt. 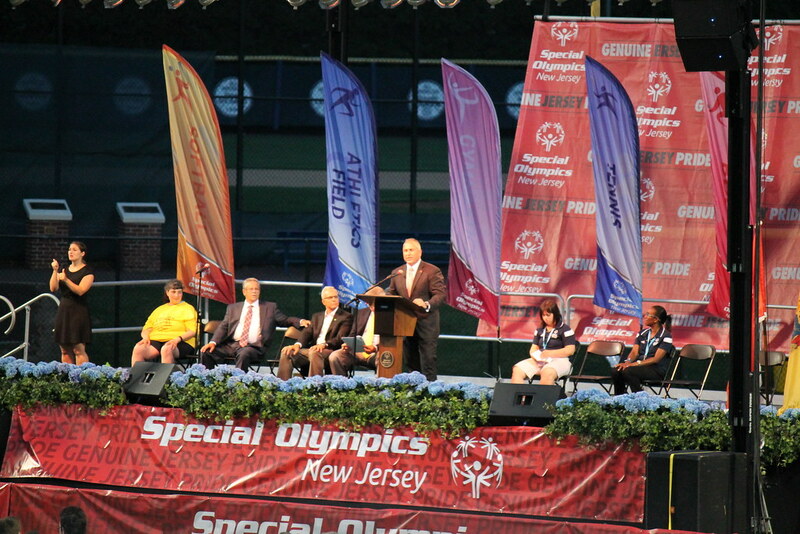 In 2013, Coach Flood, coach of Rutgers Football team, was appointed Special Olympics Honorary Coach. 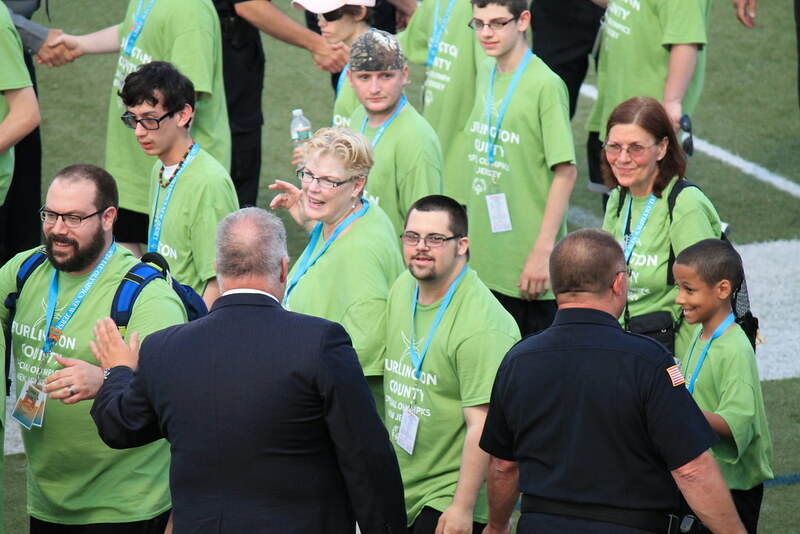 Aside from the seemingly endless stream of athletes and law enforcement, he is always one of my favorite parts of opening ceremonies. This year he spoke about the definition of the word ‘Hero’. He noted how today it is causally tossed around. The definition he gave isn’t a Webster’s definition, it isn’t one you’ll find on dictionary.com, but to me, it was perfect. A hero, he said, is a person who when encountering difficult life situations, is able to do extraordinary things. He claimed each and every athlete on the field to be heroes. Which of course, they are. 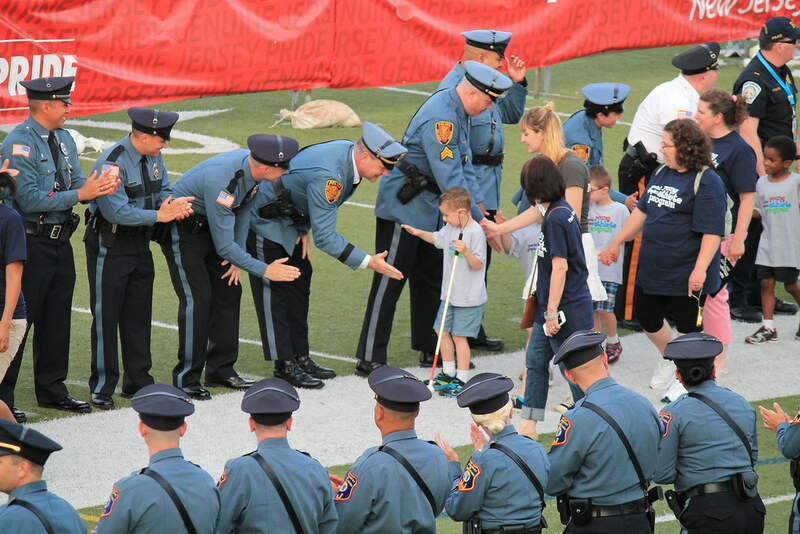 Great photographs; wonderful write-up; marvelous young man, your little guy! You did a great job! I wish I would’ve been there. I felt like I was there with your pictures and write up.